Mumbai: Anupam Kher, who plays former Prime Minister Manmohan Singh in The Accidental Prime Minister, recently tweeted a photo of actors Arjun Mathur and Aahana Kumra who play Rahul and Priyanka Gandhi, respectively, in the upcoming film. The veteran actor shared a photo on his Twitter handle where he is seen as the former PM in conversation with Aahana who plays Priyanka Gandhi. Also seen in the frame is Arjun who essays the role of Congress chief Rahul Gandhi. Just like the other cast, Aahana and Arjun also hold an uncanny resemblance to their real-life counterparts. Actor Ajit Sat is playing former Prime Minister of India PV Narasimha Rao. 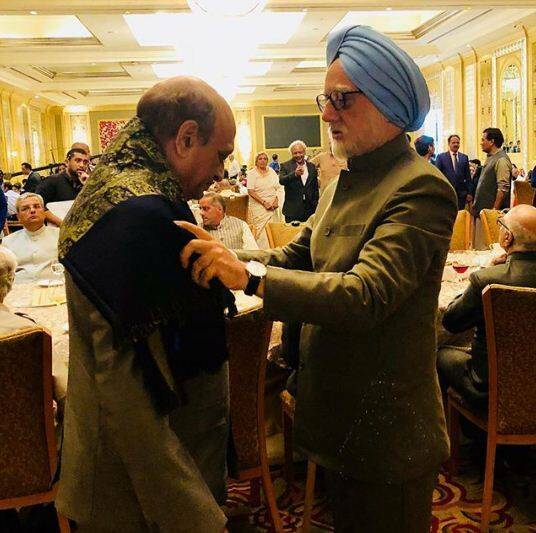 Ram Avatar Bhardawaj is playing Atal Bihari Vajpayee in The Accidental Prime Minister. 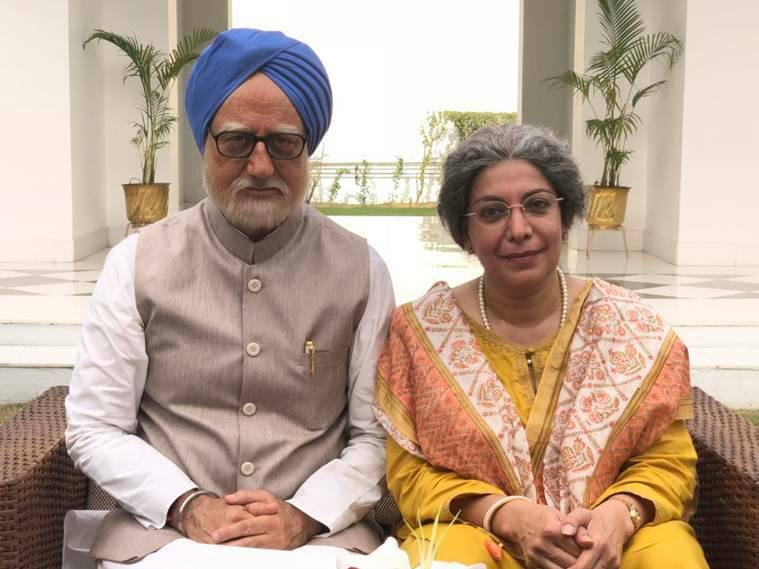 Actor Divya Seth Shah plays the role of Manmohan Singh’s wife in The Accidental Prime Minister. Akshaye Khanna will be seen in the role of former PM’s media adviser Baru and German actor Suzanne Bernert will play Sonia Gandhi in the movie. Helmed by debutant Vijay Ratnakar Gutte, the film is scheduled to release on December 21. It will clash with Shah Rukh Khan’s film Zero at the box office.